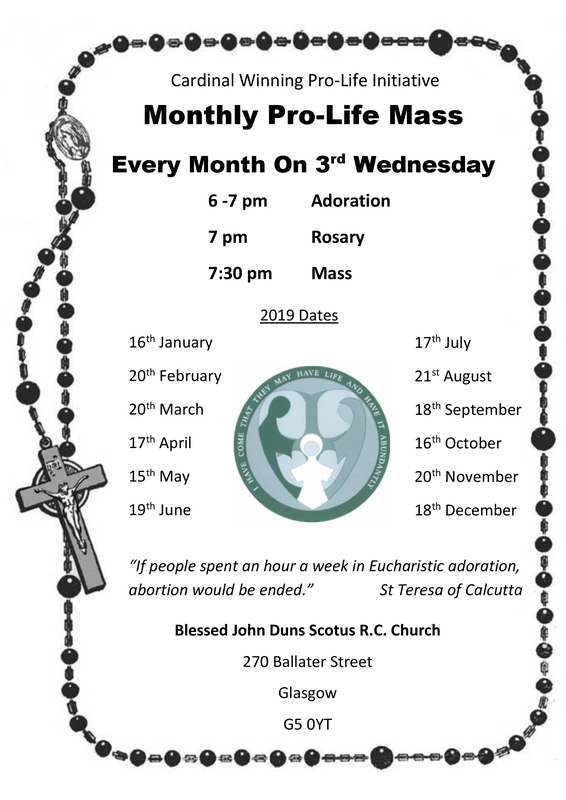 Here’s a poster with this year’s pro-life Mass dates, please join us in praying for the pro-life cause. Please join us in praying for the pro-life cause this Wednesday 17th October evening. Mass will be celebrated by Fr Vincent Toal. The programme for the evening is: Eucharistic adoration 6-7 pm, Rosary 7 pm, Mass 7:30 pm. Followed by refreshments. Join us for as little or as much of the evening as you can. Please join us in praying for the pro-life cause this Wednesday 19th September evening. Mass will be celebrated by Fr Paul Denny. Please note a change from our usual timetable. 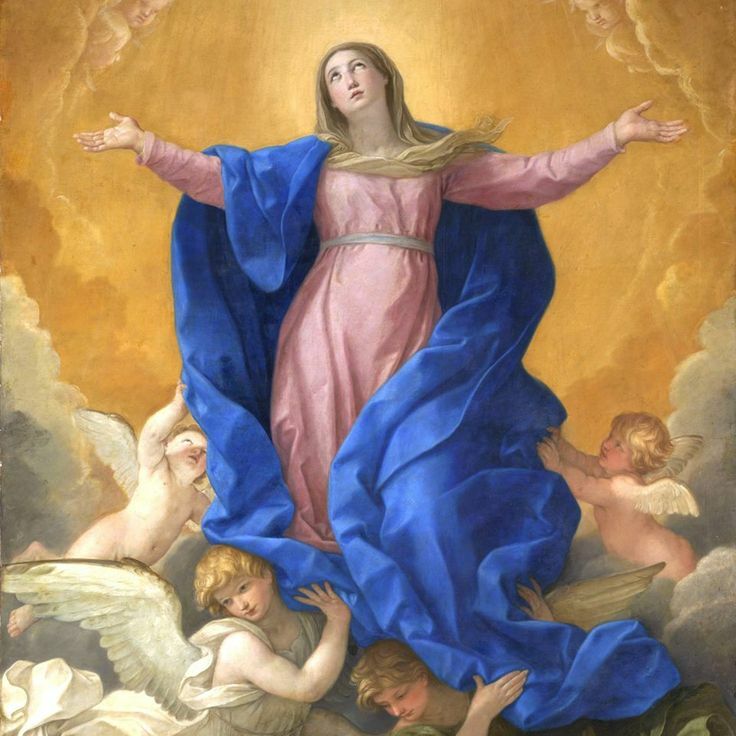 As this month’s pro-life Mass falls on the Feast of the Assumption, 15th August, we will be joining the Parish of Blessed John Duns Scotus for their Mass at 7pm. There will be no adoration / rosary / refreshments. You are still very welcome to join us in praying for the pro-life cause. 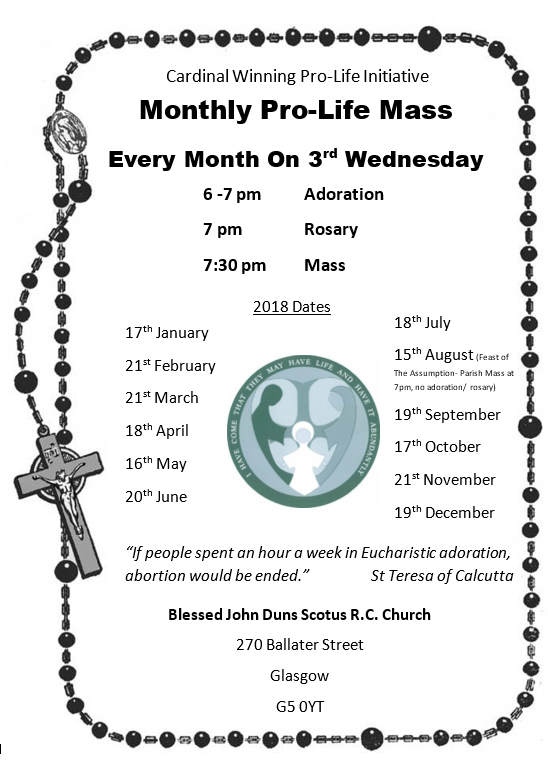 Please join us in praying for the pro-life cause this Wednesday 18th July evening. Mass will be celebrated by Canon Gerald Sharkey. 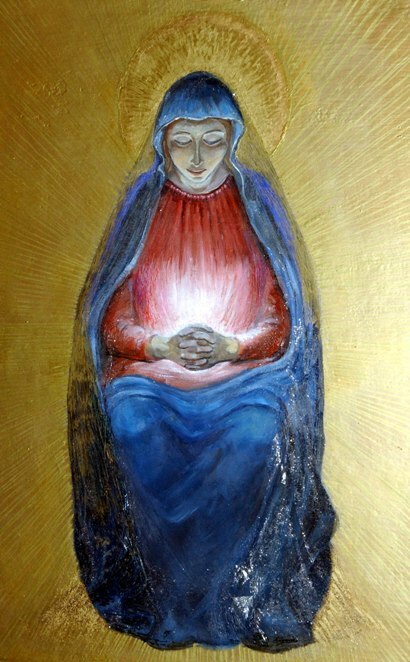 Please join us in praying for the pro-life cause this Wednesday 20th June evening. Mass will be celebrated by Bishop Toal. Please join us in praying for the pro-life cause this Wednesday 16th May evening. Mass will be celebrated by Fr Ross Campbell.